In 2010 more than $150 billion was invested in “cleantech”. That may not sound much as a share of total global investment in energy, but it’s actually something of a miracle given how little politicians around the world have done to help frame investment markets properly for a more sustainable world. For the last hundred years or so, economic progress has pretty much depended on the easy availability of coal, oil and gas. Growing concerns about accelerating climate change and the continuing availability of cheap oil are changing all that – with more and more of a focus on renewables, efficiency, smart grids and meters, cleaner fossil fuels and so on. That makes it an exciting time to be an entrepreneur in the green energy sector. The “pipeline” of new technologies and smart ideas just gets more and more substantive, and although there’s still a serious mismatch between innovators and available sources of investment capital (the so-called “valley of death”), the “solution agenda” just gets more and more dynamic. And the UK is performing reasonably well on that energy front. In the Climate Change Act, for instance, we have a unique statutory driver that obliges politicians to develop long-term policy interventions. The introduction of Feed-in Tariffs in April 2010 has given a huge boost to micro-generation in general, and the Renewable Heat Incentive will galvanize a lot of new thinking at the community level. If things go well, we should soon have a new Green Investment Bank established, and the Government’s ambitious “Green Deal” proposals to start a massive retrofit programme for existing housing across the UK will transform the domestic energy efficiency world. But the single most ambitious area of new growth is offshore wind. 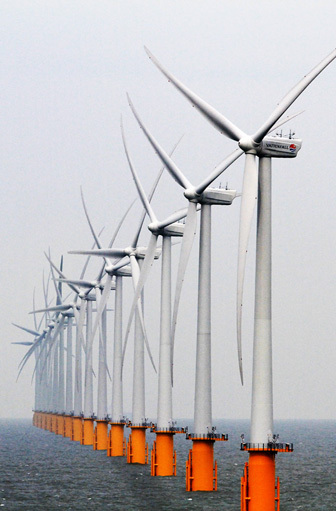 The UK already has a small lead in terms of installed wind turbines offshore, and there will be massive further expansion over the next decade. 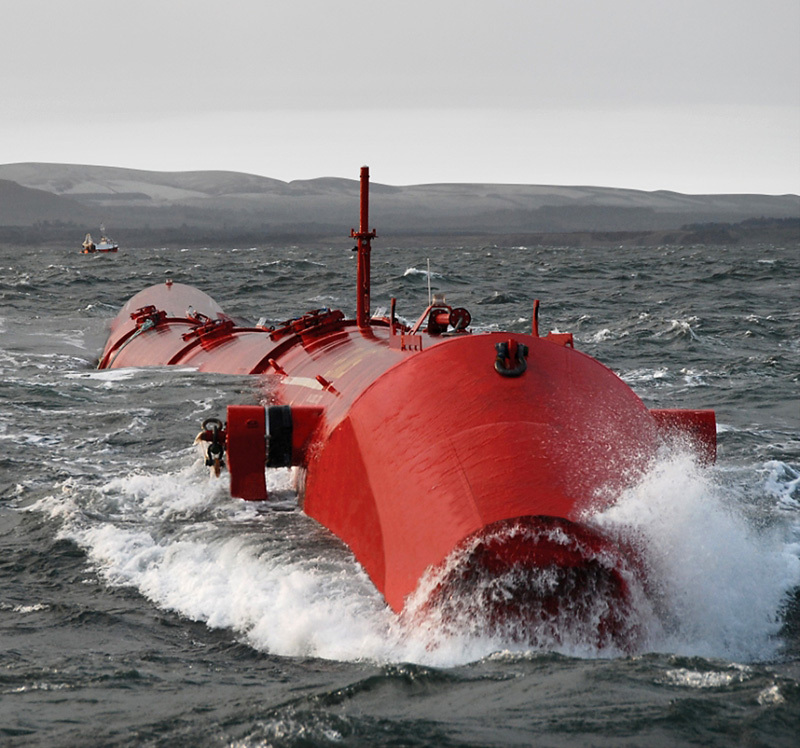 We’ll also see a growing level of investment in marine technologies including tidal stream and wave power. This plays to our strengths as an island nation, and will create tens of thousands of new jobs. After decades of business-as-usual dependence on fossil fuels, countries all over the world are waking up to a very different kind of energy outlook – with the priority on reducing dependence on imported fossil fuels as well as addressing the potential horrors of runaway climate change. But our politicians still have two great challenges to address. First, they have to move as fast as possible to get a proper price on every tonne of CO2 that we emit into the atmosphere. That’s the only way markets will begin to prioritize low-carbon options, and the only way that investments in efficiency and renewables will move from around $150 billion a year to something nearer to $500 billion a year. Secondly, they have to do a far better job persuading their electorates that this is the best thing we could be doing anyway – regardless of climate change. Best in terms of jobs, quality of life, dealing with fuel poverty, promoting innovation, enhanced skills, future competitiveness and so on. They have to help change “the mood music” and that’s what this exhibition is all about.